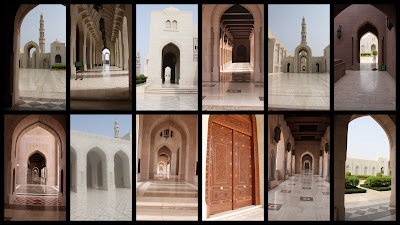 On our last morning of our trip, we woke up and got out of the house early in order to make the visitor hours at the Sultan Qaboos Grand Mosque. I had wrestled with visiting this mosque for awhile. Or really, any mosque for that matter. As a Christian, I believe that they are worshiping a false god, or idol, and I just wasn't sure how I felt about touring their place of worship. It would be similar to visiting Stonehenge, a Buddhist monastery, or watching a Native American pow wow. In the end, I decided it was more of a cultural event, and would benefit my understanding of the culture I live in. The mosque is HUGE! Beautifully designed and ornately decorated. I could have stood and took pictures for hours on ends. Men's and Women's separate, of course. We visited the women's prayer hall and then the main prayer hall, complete with the LARGEST chandelier I have ever seen. And it's the second largest in the whole world, so I'm pretty sure it is the largest I'll ever see! Each of the outer spires are larger than a grown man! 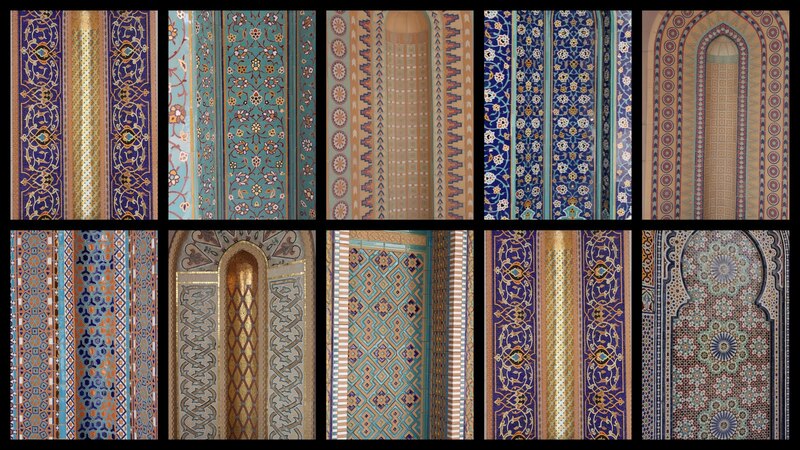 I loved the calligraphy, tile work, and colors throughout the entire grounds. This is the interior of the dome. Here's me, standing on top of the worlds second largest carpet (not the blue one.) My head does not usually have to be covered here, but it is required when touring the mosque. And here's Ian and I, NOT touching. It felt like we were in middle school again, taking pictures without touching, ha! 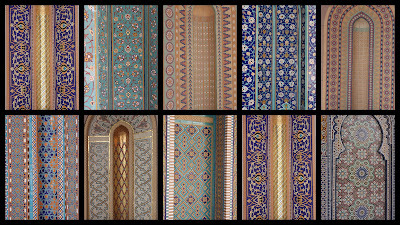 LOVE the turquoise and blue that was in so many of the tiled niches. In the end, I'm so glad I went so I could put some conversations I've had with people into perspective! I would have felt the same way as you being a Christian as well but I'm so glad you did! That place is very beautiful!